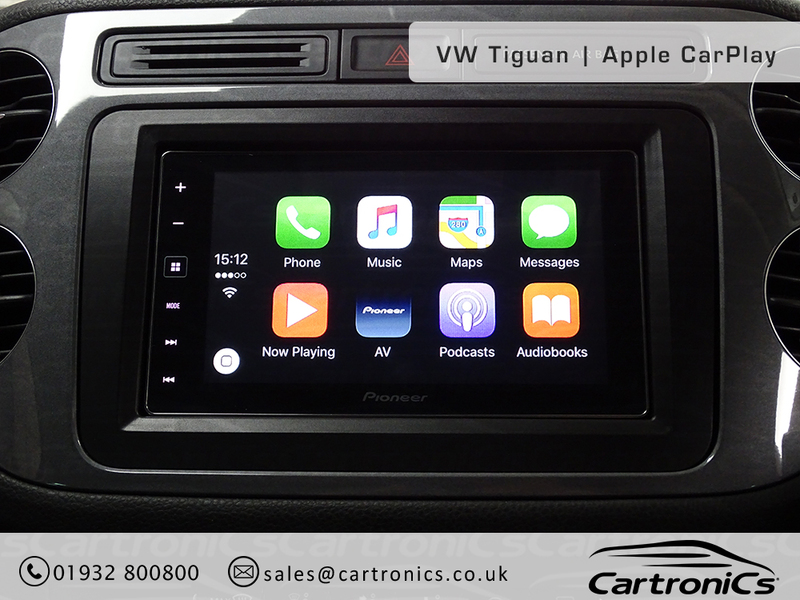 This customer wanted to upgrade their VW Tiguan to the latest Apple CarPlay touchscreen whilst keeping full functionality of their original operating system. We installed the double din unit by Pioneer into the vehicle, integrating the steering wheel controls with the new system to ensure ease of use whilst driving. We also integrated the parking assist sensors with their new double din radio so no original functionality was lost. The end result looked functioned and looked flawless and the customer was delighted. Not an iPhone user but want to upgrade your VW Tiguan with a new radio and GPS system? Well, we also install and integrate Android Auto with the same brilliant results.